With more than 100,000 people calling Clovis, CA home, it’s easy to see why it’s a wonderful place to live. Nicknamed the “Gateway to the Sierras,” Clovis is only a few minutes outside of downtown Fresno, making it a convenient place for commuters and those who want to be close to the city without embracing the big-city lifestyle. The Old Town area in Clovis is exceptionally nice, and it’s known all over the country for its rodeo, family-oriented events and charming southwestern-style theme. Houses for Sale in Clovis, Ca. Many of the homes in Clovis are newly constructed, spacious properties with luxury homes and several established neighborhoods. If you go farther out from the city there are large-scale farms, agriculture and horse property as well. You will find the perfect place to live in Clovis because of its superior schools and its proximity to Fresno you’re not giving up amenities of the City. You’ll find homes for sale in Clovis that are newly constructed, homes in established neighborhoods; homes that are ideal for agriculture, horses and more. The farther you go from the city, the more likely you are to find large-scale farms and more spacious properties; as you move into the foothills you’ll find spacious properties with luxury homes. Whether you’re looking for superior schools or you’d prefer to purchase a new home on plenty of acreage, you’ll find the perfect place to live in Clovis. Many people choose to live in Clovis because of its proximity to Fresno; residents don’t have to sacrifice wide-open spaces to be close to all the amenities the city has to offer. From five-star dining experiences to fast, healthy fare, you’ll find your new favorite restaurant in Clovis. There are dozens of eateries here – mainly located along West Shaw Avenue – and you’ll find major chains beside local cafés. There are a number of shopping destinations here, and many of them are owned by local residents. We also have major retailers, including Target, a pair of Walmart Supercenters (and a Walmart Neighborhood Market), and more. Old Town Clovis is extremely popular among locals. It’s home to the Farmers’ Market, a variety of antique shops and quaint boutiques. This extremely walkable area hosts the locally famous rodeos, a number of car shows and seasonal events. Its small-town atmosphere and friendly people make Old Town a great place to visit, work and live. 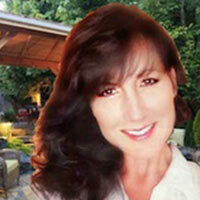 Let the area experts help you find homes for sale in Clovis, CA that meet your needs. Our in-depth knowledge of the area is second-to-none, and I’ll be happy to begin searching for your ideal home right away. When you’re ready to explore, call me at 559.303.9557 or contact me online.